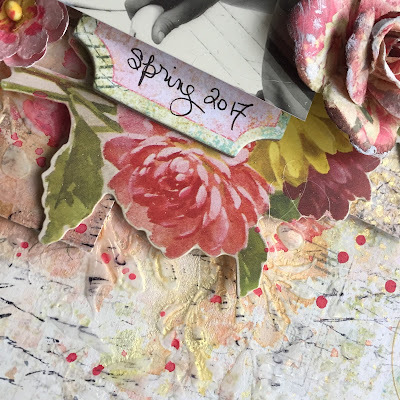 I started by cutting small squares of the beautiful papers from Blue Fern Studios Happy Accident collection. I glued them on the background and put Gesso on the surface. Then I used the stencil from Kaisercraft and the Sand Paste by DecoArt. 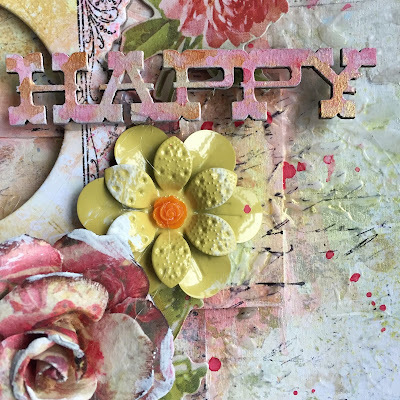 I added some sprays from my stash and finished with the Blue Fern Chipboards, flowers, Tim Holtz Ephemera, Prima Metal Trinquets and Blue Fern chipboard for the title. 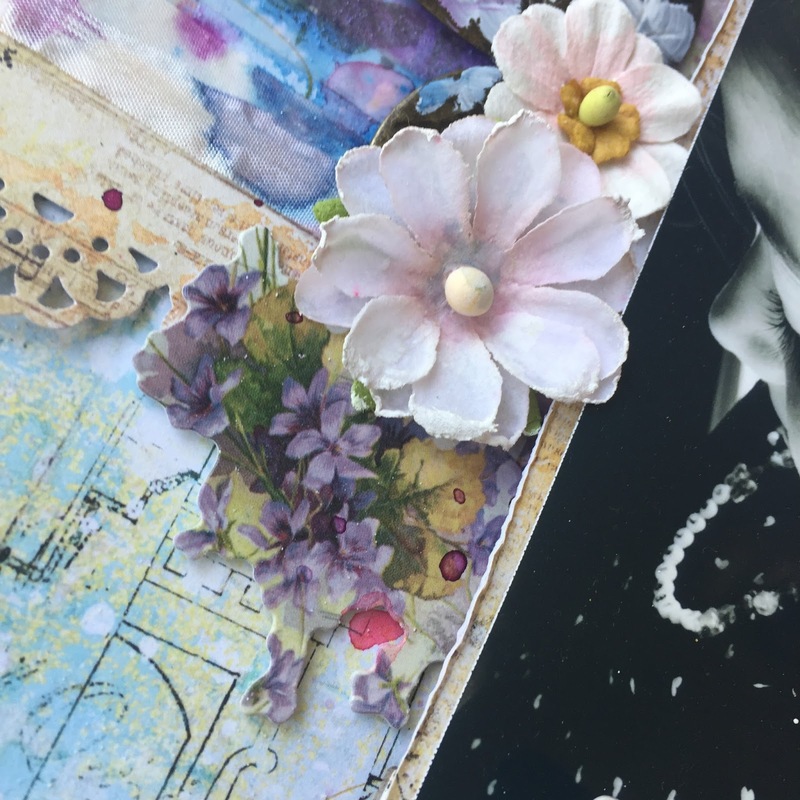 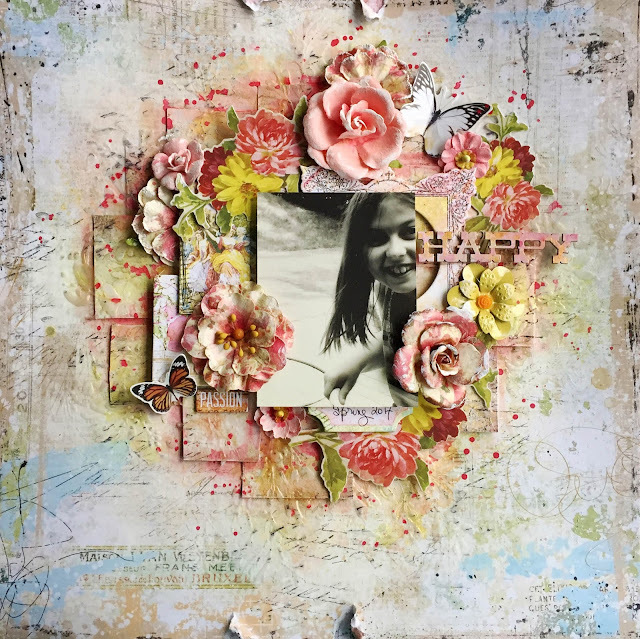 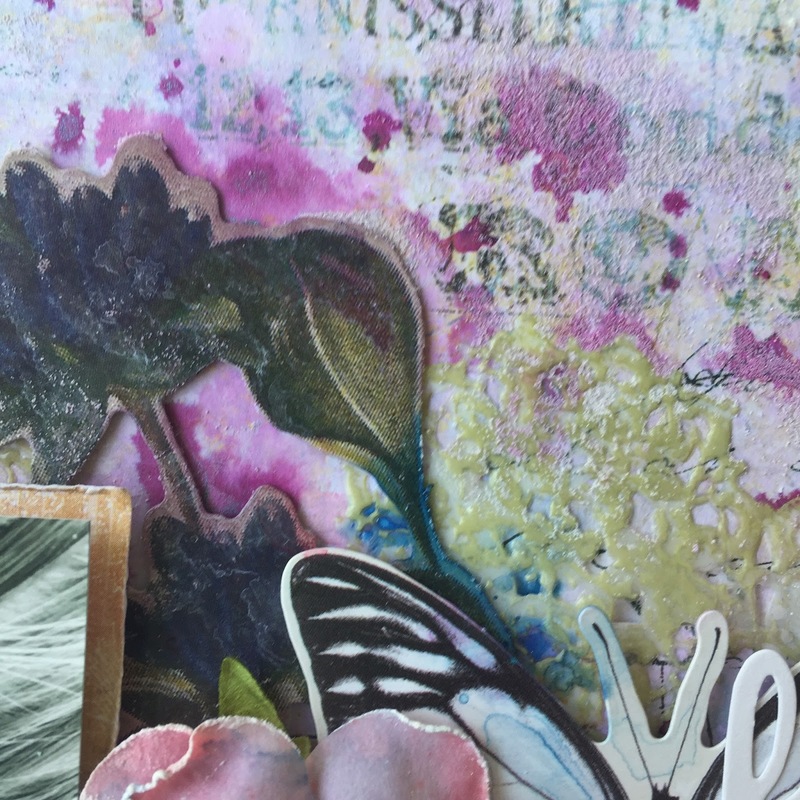 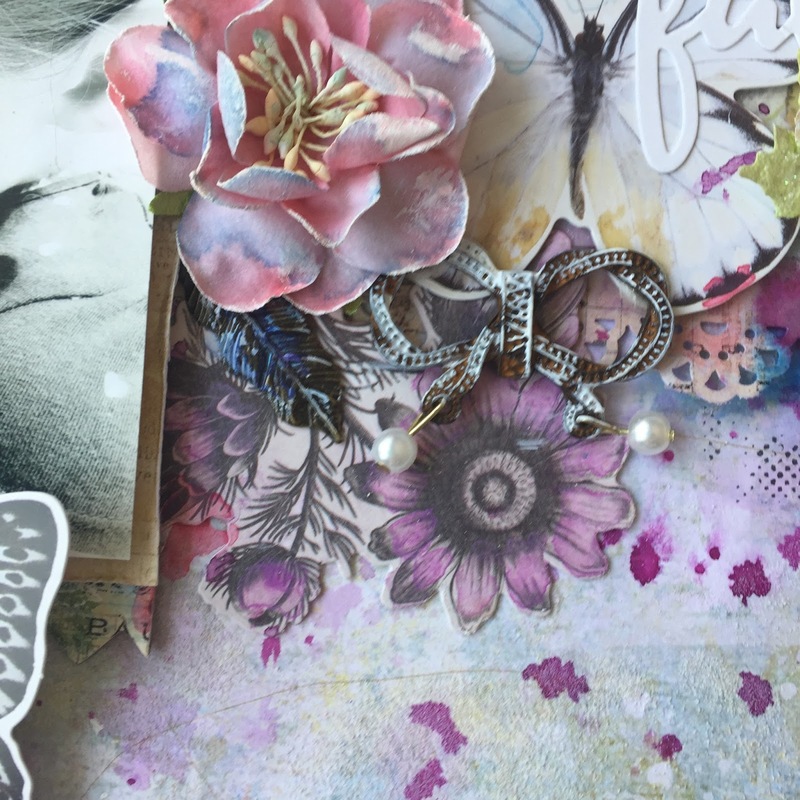 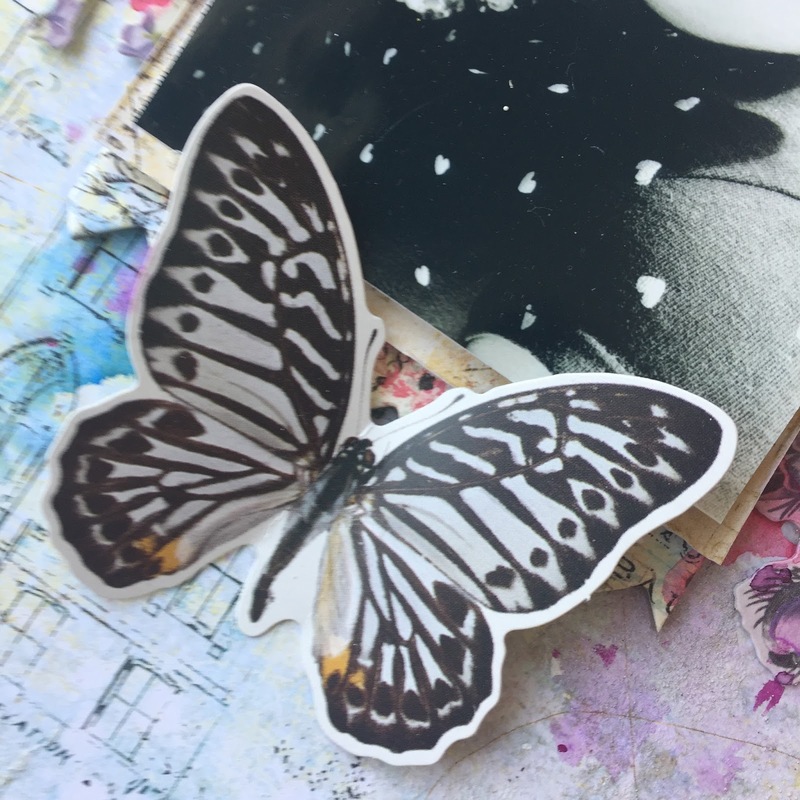 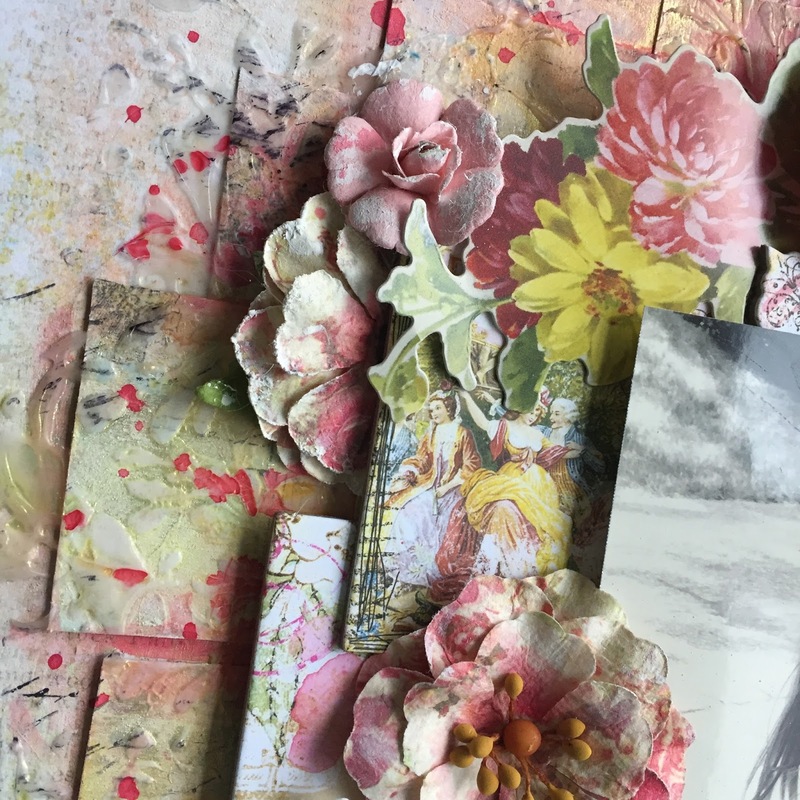 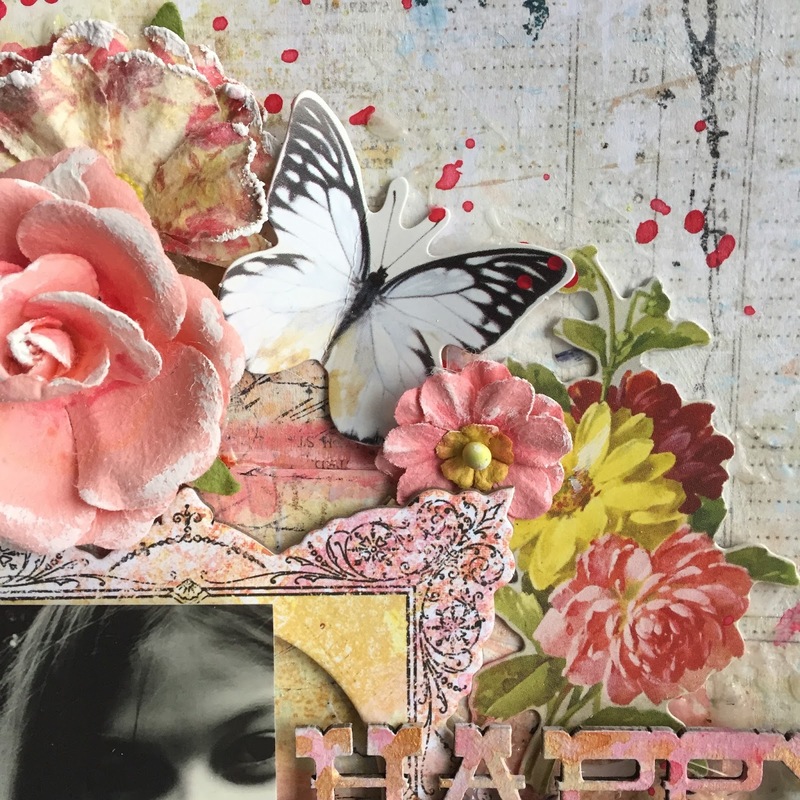 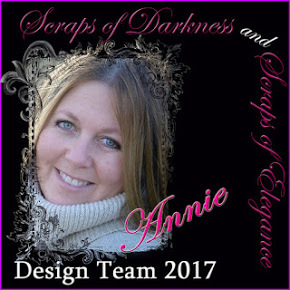 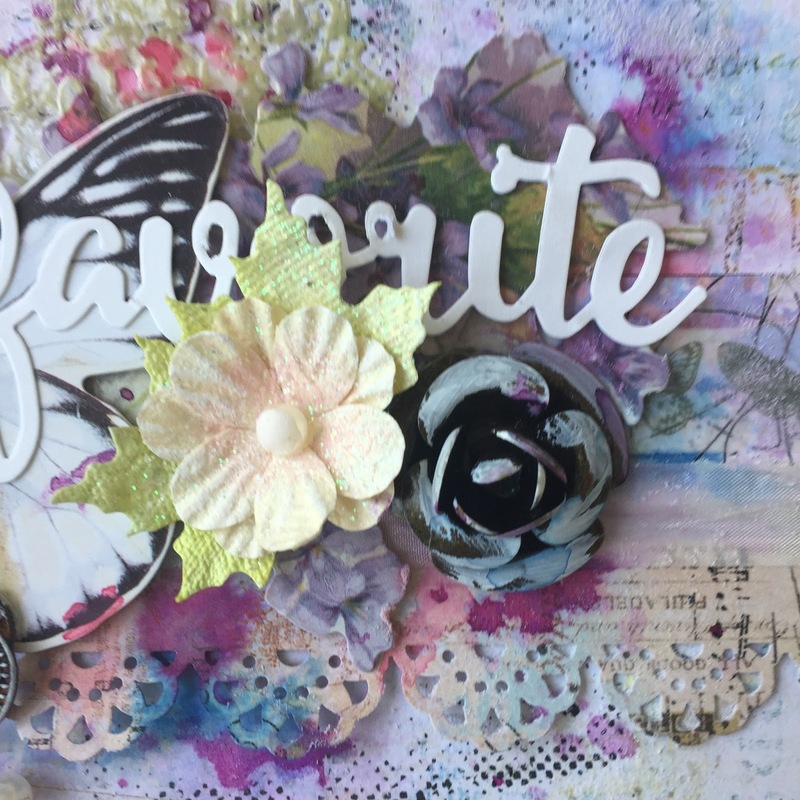 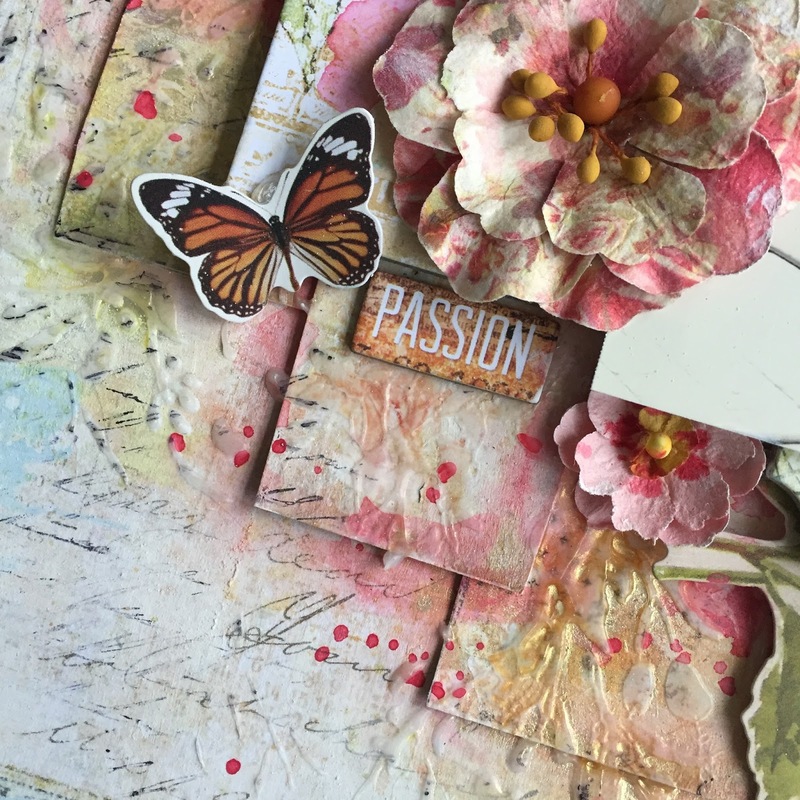 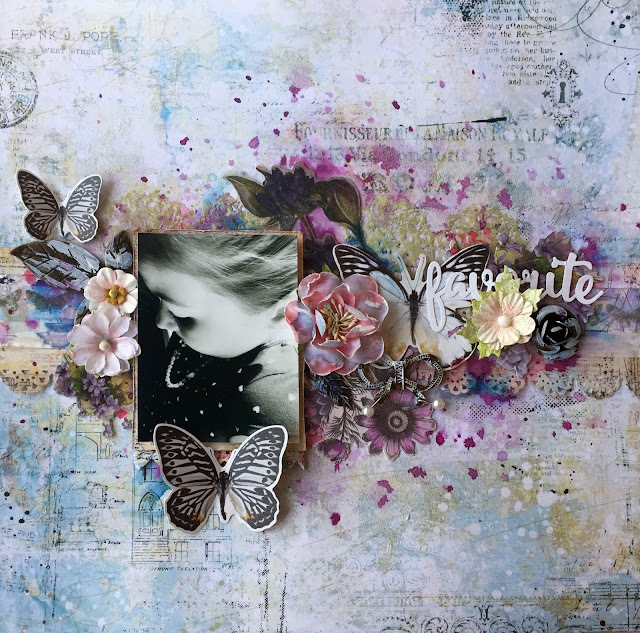 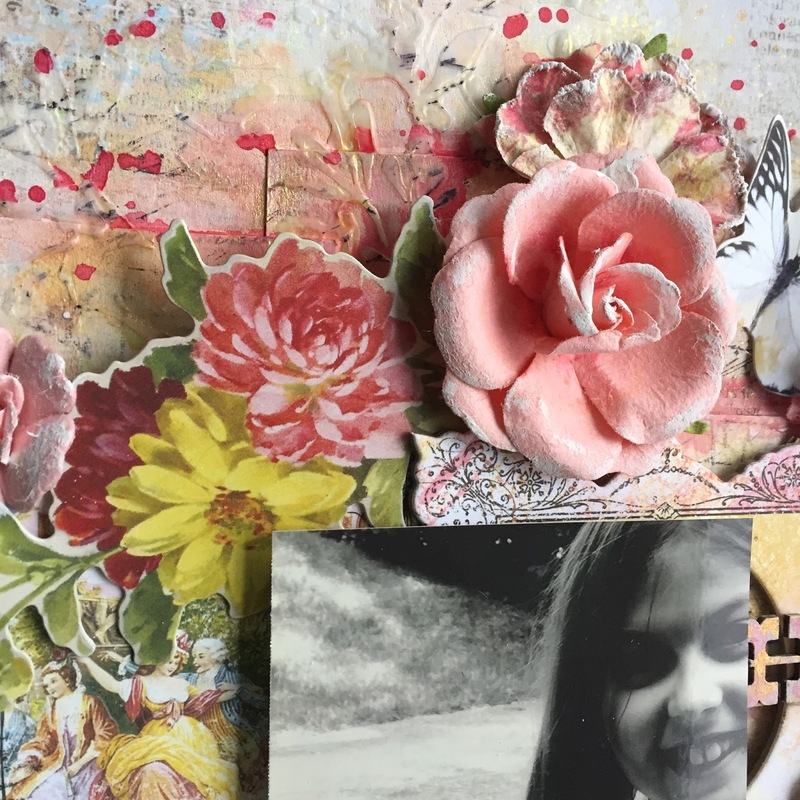 This is my butterfly layout :) I just love those Tim Holtz Ephemeras ! 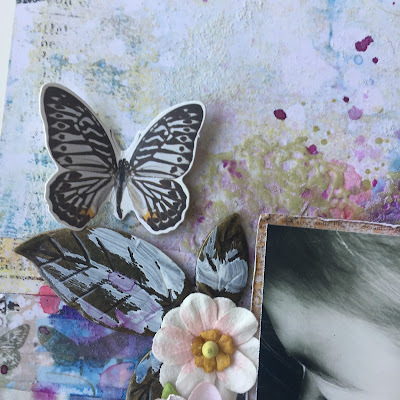 I used the ones where there was Purple on them and painted some of them also. I also used the metal trinkets from Prima but I put some Gesso on them.